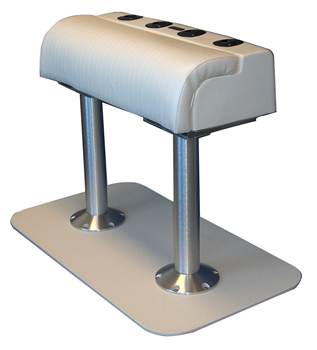 This new system allows for easy conversion of old chairs to a new leaning post, without removal of existing pedestals. 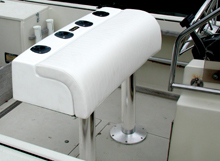 New posts adjusts from 21" on center to 28.5" on center, based on your existing pedestals. Outside 15 3/4" 37 1/2" 11"